Time once again for another entry in our ongoing series, GLORY OF THE EIGHTIES. Every week, I highlight the films that were released to theaters on the corresponding weekend 35 years before. It should be noted that this series also has a companion, a thorough look at the films of the 1970s, which Jesse Hoheisel has started on his own page. This weekend, we look at five films released to the Twin Cities and the New York City metro area. Four of them are roll-outs from the 1970s and the other is only the second official film of the 1980s. Something else of note: one of the films in today’s column earns our highest possible rating. THE MARRIAGE OF MARIA BRAUN (a.k.a. DIE EHE DER MARIA BRAUN) (1979) – In the opening shot of Rainer Werner Fassbinder’s THE MARRIAGE OF MARIA BRAUN, a war rages outside and the wall of a building is blown open. Inside, Maria Braun is marrying a soldier, who though she gives reason to wonder, will remain the truest love of her life. The bomb doesn’t disturb them; nothing will be able to interrupt their union as they struggle to make a life for themselves in a confusing and uncertain time. The marriage is never consummated as her husband immediately runs off with his regiment and goes missing. Over the next several years, Maria Braun will do whatever it takes to survive post-war Germany. She will fall in with an American G.I., sleep with men, commit murder, and become the mistress and eventual partner of a wealthy businessman. Yet, her actions always spell out the same thing: desperation. She is always truthful and claims to be making a good life for her and her husband, but in Fassbinder’s post-war Germany, love and desperation are interchangeable. THE MARRIAGE OF MARIA BRAUN retains a cold distance from its title character, even as her soul seems to pour out in every scene. It never seeks to judge Maria’s actions, but merely looks at the lengths she is willing to go in order to secure some shred of her old dreams, even as the world around her continues to change in confusing ways. THE MARRIAGE OF MARIA BRAUN is a classic from a master filmmaker. It’s a wonderful, powerful film with only the frequent and intrusive, bombastic musical cues serving as a detriment. Highly Recommended. MOUNTAIN FAMILY ROBINSON (1979) – The third entry in the WILDERNESS FAMILY series begins with the family living harmoniously with nature, ridiculously so in fact. The Mountain Family Robinson seems to have domesticated all the animals. Deer, bears, and eagles frolic all around the family, without ever raising a claw, hoof or talon against either them or each other. The family endures many struggles throughout the film. There is no central plot arc, though the bookended story involves an official from the Forest Service suddenly discovering the family squatting on government land. He quite reasonably informs the family that they will either have to do something to help cultivate the land they’ve been squatting on or vacate the premises. Naturally, the film paints this ultimatum as being borderline demonic. In between, the family faces untold dangers from their unsafe living environment, mostly due to the inept actions of the son, Toby. A bushy-haired, gap-toothed menace, the fact that Toby hasn’t been responsible for the deaths of everyone within his reach is a small miracle. Every ten to fifteen minutes, a new problem is introduced before being solved in time for the next cycle to begin. MOUNTAIN FAMILY ROBINSON seems designed to be watched in small doses, between commercial breaks for Downey fabric softener. This begs the question of why it’s a full-blown movie in the first place. As I said, this was the third film in the WILDERNESS FAMILY series. The 1970s experienced a brief boom period of films and television shows that sought to go back to nature and simpler times (though how possibly dying of infection is simple is beyond me). The WILDERNESS FAMILY cozied up to the Swiss Family Robinson, Grizzly Adams, the Ingalls family, the Waltons and the brood from ACROSS THE GREAT DIVIDE (most of who also appear in the WILDERNESS FAMILY series). I’m a city dweller at heart, so I had no sympathy for this squeaky clean family of squatters. James Roberson’s cinematography is appropriately pretty and colorful. But the film itself is the type of tripe that is shown when ion, the Hallmark Channel or some local station needs something nonthreatening to fill a two-hour hole in the schedule. Awful. NIGHT OF THE JUGGLER – OK, deep breath, here we go. 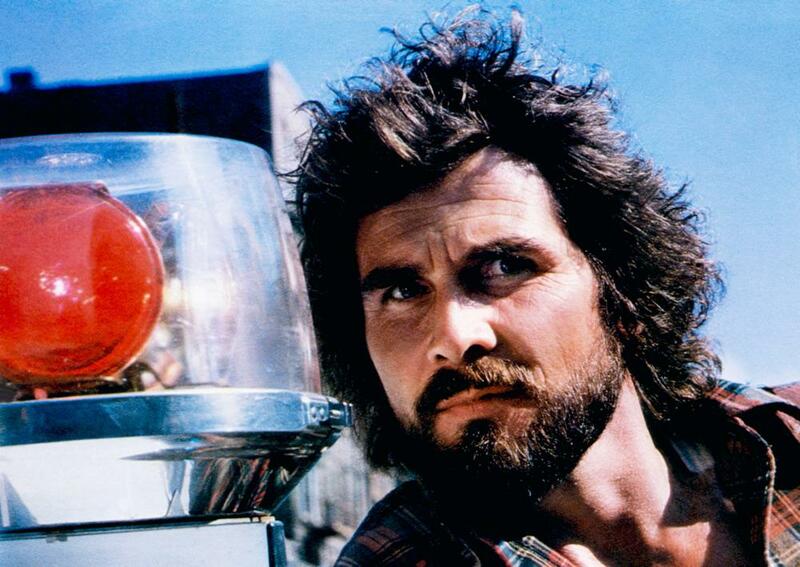 Sean Boyd (James Brolin) is an ex-cop who is trying to raise his daughter as best he can in New York City. He drops her off at school, only to watch in horror as she is snatched before his eyes. What follows is a twenty-minute plus chase sequence, as he mercilessly tries to get his daughter back from an insane kidnapper. Even after he loses the trail, Boyd continues to traverse the urban jungle of New York City in order to get her back. The abductor (Cliff Gorman) is a delusional racist who was nonetheless a victim of NYC’s corrupt urban renewal campaign. The idea being that he is a relic of the old New York that local politicians are trying to rebuild. But that rebuilding is built on bribes and backroom dealing, thereby giving life to the worm in the belly of the Big Apple. The city is presented as a war zone where decent people struggle every day. Boyd experiences the sleaze, crime and racism of the city, as well as experiencing firsthand the corruption in local politics and the police force. And yet, the solution is never to flee, but to continue to fight. NIGHT OF THE JUGGLER is one hell of a movie. Few of my recent cinematic discoveries have made me as excited as this. It’s exciting, tense, thought-provoking and a balls to the wall thriller. It’s also an amazing snapshot of New York City in the early 1980s. If you love seeing the forgotten New York erased by the Disney Store, this is the film for you. In addition to the noteworthy supporting cast (Dan Hedaya, Julie Carmen), you can also look for a few noteworthy cameos. These include Mandy Patinkin as a helpful cabbie and adult film legend Sharon Mitchell as a peep show worker who holds an important clue. NIGHT OF THE JUGGLER is an instant favorite of mine. I’ve even already written about it for TV Store Online, and will probably write about it more if given the opportunity. It is a visceral and profound experience. Unseen on video of any kind since the mid-1980s, the film is in dire need of being remastered, re-released and rediscovered. The Best. RUST NEVER SLEEPS (1979) – Back in the 1990s, I snagged some last minute tickets to the H.O.R.D.E. Fest. For you kids out there, this was an outdoor festival that gave the stage to new musicians on the scene as well as so-called roots rockers. There were a lot of great people on stage that day, like Beck and Morphine. 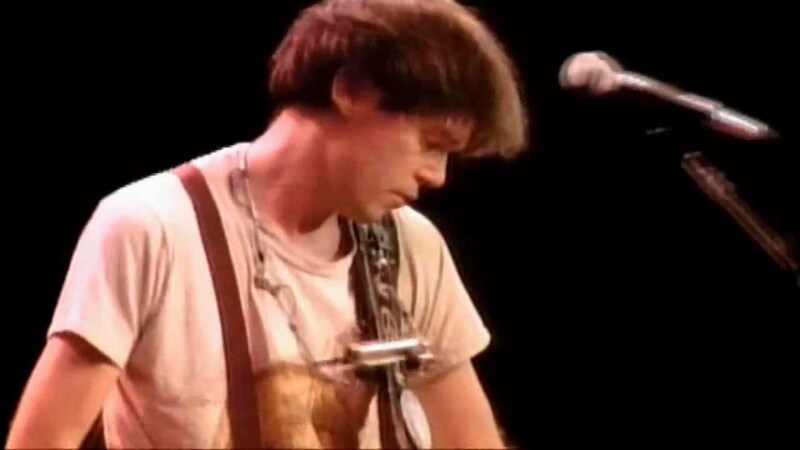 But my priority was to see the headliner – Neil Young, playing with his band Crazy Horse. Young did not disappoint, immediately going into “Hey Hey My My” and stretching it into twenty minutes of improvisational glory. I had no idea what you could do with a guitar until I saw Neil Young play. In the 1970s, Neil Young was experiencing one of the most aesthetically pleasing solo careers in music. In 1978, he performed several songs live for the first time, recording the results on a classic album called RUST NEVER SLEEPS. This is not the recording of that album but a snapshot from the tour that followed, perhaps the same one that was released as the LIVE RUST album. Jawas serve as roadies and the set takes on a satirical “larger than life” feel. As a film, Young claims direction duties. The film shows the concert with all its rough edges and it’s not a terribly involving experience when viewed at home. But with songs like these, who cares? If you’re a Neil Young fan like me, this is great stuff. “Powderfinger,” “Like a Hurricane,” “Thrasher,” and of course the previously mentioned “Hey Hey, My My” along with its companion are all performed with Young’s typical virtuoso ability. If that attracts you, then you’re going to have to see this. Recommended. WRONG MOVE (a.k.a. FALSCHE BEWEGUNG) (1975) – Wilhelm (Rüdiger Vogler), a frustrated writer, puts his fist through the window of his mother’s home. Basically forced to embark on the journey of self-discovery he always talked about, he is given a train ticket and told to make his way from there. He shares a train compartment with an old man with a controversial past and a teenage acrobat. Very quickly, the trio gets acquainted. 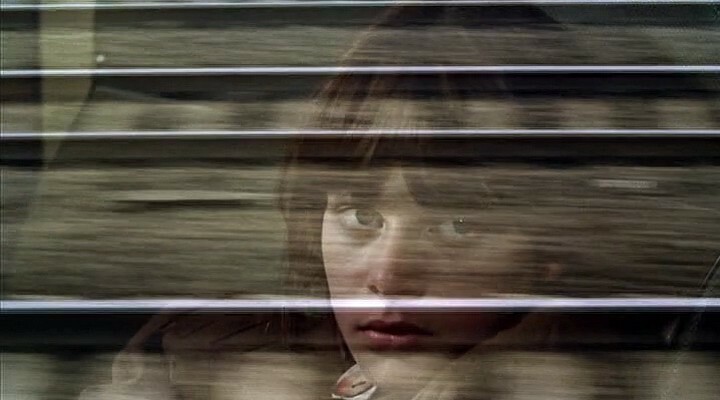 After the train reaches its destination, the group continues to travel together, also picking up the actress Therese (Hanna Schygulla – Maria Braun herself), with whom Wilhelm is immediately taken. But Wilhelm is self-absorbed. Not only does he find it difficult to truly feel in the way in which he feels he should, he is very cognizant of this disconnect and ruminates on it continuously. The dynamics of this group, which doesn’t resemble a family so much as a group of lonely travelers, are threatened by time and poor decisions, not to mention Wilhelm’s own melancholy. This is the tragedy, that Wilhelm cannot see beyond himself, since it is in his companions that he gains much of his strength and sense of self-worth. What we have is a group of wandering souls who experience a brief moment of unity and understanding, only to see it threatened. At this point, Wim Wenders was already one of the great stars of the New German cinema. WRONG MOVE was his follow-up to ALICE IN THE CITIES and the immediate predecessor of KINGS OF THE ROAD. And much like those films, it deals with common German people on a journey where the scenery and destination is secondary to the experiences they share with one another. The cast is exemplary in their roles. Hans Christian Blech is interesting as a man who seems to travel aimlessly, attempting to make peace with the shame of his youth. Nastassja Kinski, the most underrated actress out there, is completely mute in her debut role as the teenaged Mignon, and yet her gaze seems to burn right through the screen. The film does suffer a few setbacks, and proves that not every moment calls for introspective whimsy. But WRONG MOVE remains an interesting film that’s worth thinking about. Recommended. Richard Gere puts on his gravity boots! Dom DeLuise eats New York! A classic scream queen scares a new generation! A woman angers traditionalists and asserts her independence! Santa Claus carves up some coeds! Comedic legends voice athletic animals! ALL NEXT WEEK IN GLORY OF THE 80’S! Next Next post: The Spoiler Room Talks 1980’s Sci-fi Classics! Plus, an Interview with Catherine Mary Stewart!